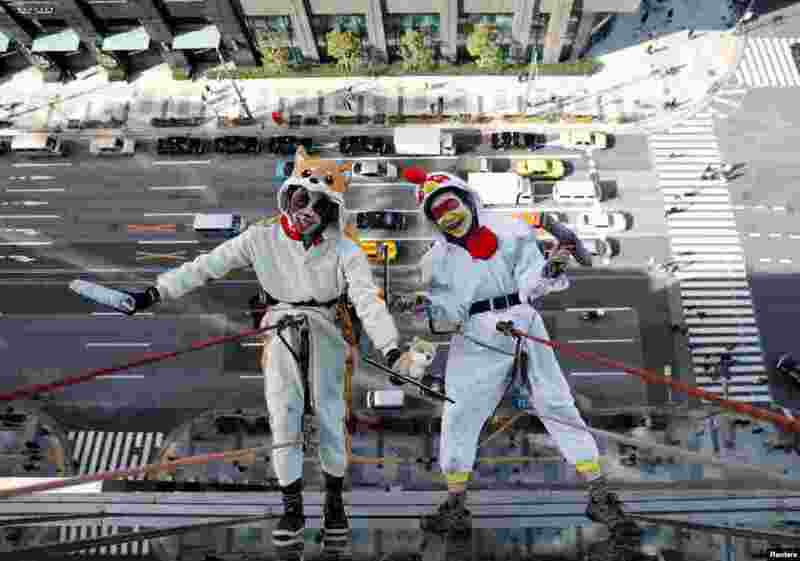 ٥ Window cleaners, dressed as a rooster, this year's Chinese zodiac animal and a dog, next year's Chinese zodiac animal, pose for photographers as they clean the windows of Ryumeikan hotel during a promotional event to celebrate the upcoming new year in Tokyo. 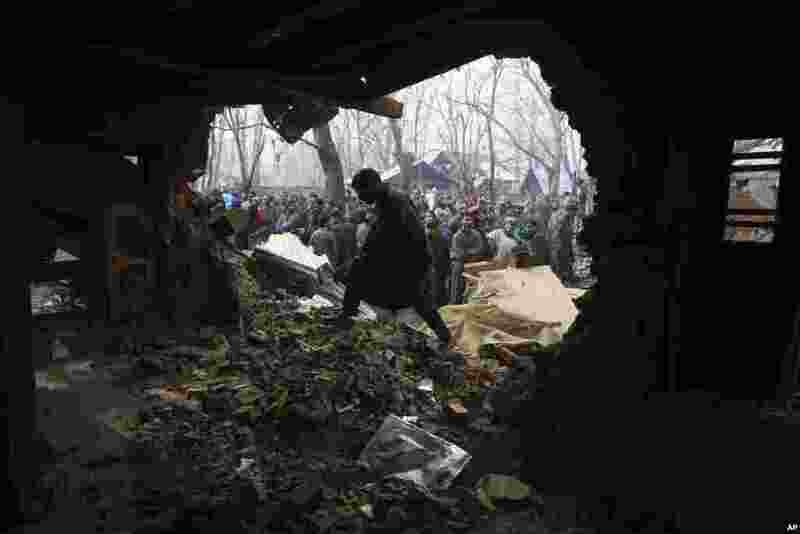 ٦ A Kashmiri villager walks across the house which was damaged during a gun-battle at Shopian 55 kilometers south of Srinagar, Indian controlled Kashmir. 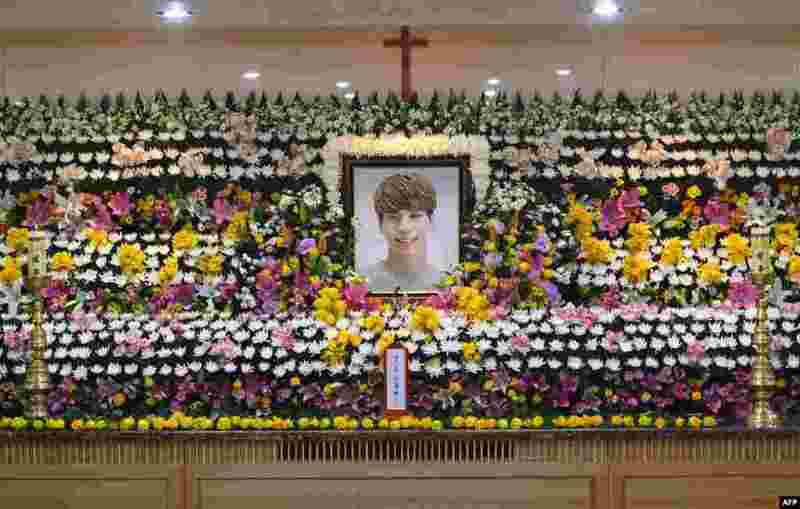 ٧ The portrait of Kim Jong-Hyun, a 27-year-old lead singer of the massively popular K-pop boyband SHINee, is seen on a mourning altar at a hospital in Seoul. 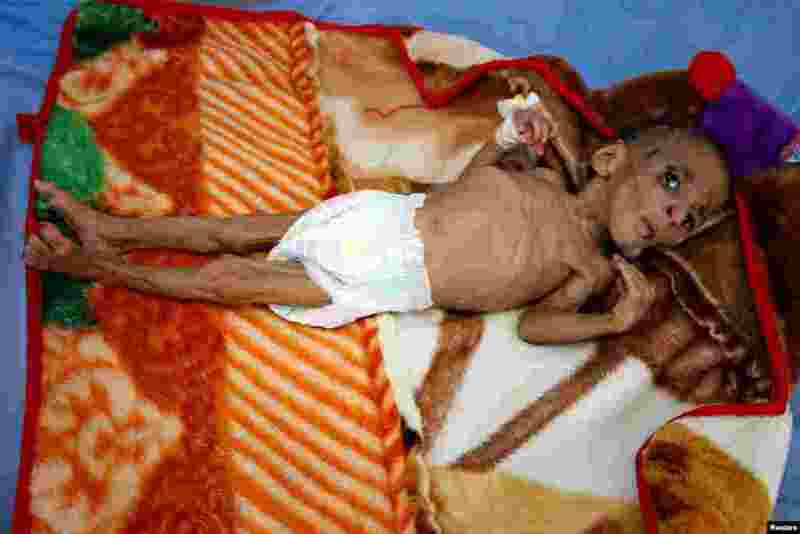 ٨ One-year-old Fatima Abdullah Hassan, who suffers from severe malnutrition, lies in bed at a malnutrition treatment center in the Red Sea port city of Hodeida, Yemen.